Guest blog by Camille Steinberger. There’s the old adage that love means being willing to sacrifice. For Florence, I very willingly sacrifice sleep, savings and any form of calorie counting – and would gladly do so any day of the week. It’s an easy exchange. Here you are repaid in cultural experiences that are nothing short of amazing. For the foodies it offers limitless dining experiences that leave no questions as to why the Italians are famous for cuisine – particularly all things pizza, pasta and wine. For the history buffs it is steeped in a past so rich that even wandering its well-worn cobblestone streets feels a privilege. For the photographers and happy snappers, man, where do I even begin…? Characterised by narrow laneways, red roofs, centuries old structures, with funky street art in the midst – just about everywhere offers an “oh look at that” moment. And for those who love to immerse themselves in where they are, there is constant activity, charm and vibrancy – so much so that it will leave you feeling guilty for needing to sleep. Throw in an easy escape to the rolling hills and vineyards that surround this city and you can see why so many, like me, have fallen for Florence. Peak travel season in Italy is normally June through to August, and while this is an incredible time to visit (and was the time of year I first visited Italy), it is just as stunning and quite a lot cheaper to visit at other times of the year. We visited Florence in March and if you don’t mind the cooler weather, I recommend doing this. The streets aren’t as busy and there are some great deals for accommodation and attractions. Whenever you go, there is such a range of places to stay and things to do that however much you have to spend, you can make Florence fit your budget. If you love to be able to explore on foot, then you will love exploring Florence! Florence is a city to get lost in – geographically and day dreamily. If you can, do away with Google maps for a while. The city is made up of multiple squares and main streets, all of which have their own special history, structures and treasures to stumble upon. We found that the Palazzo Vecchio tower and the Arno River were great navigation points. The river is a sight in itself, with closely knit buildings almost hanging over one of its bridges. It’s a great walk both day and night. You’re in the birthplace of the Italian Renaissance, and much of the walk through the streets feels it. The city – particularly the historic centre – is often described as being more of an open air museum and it’s easy to see why. There are so many stunning landmarks, including the Cathedral of Santa Maria del Fiore, in close proximity of each other. All can be freely viewed from the outside, with most also offering opportunities to view the interiors or take guided tours through. Many of the city’s museums and galleries are also in walking distance of each other and offer some of today’s most treasured masterpieces such as Michelangelo’s David, which is found at the Gallery of the Academy of Florence. This is a great website on some of the top museums and galleries to visit, along with pricing. If you’re a history buff, a great way to delve further into the city and its past is with a guided tour. One of our mornings was spent with an expert guide from Florence Free Tours. For me, there’s nothing quite like hearing about the place you’re visiting from a local, and, if you’re lucky, a passionate local. Our guide was exactly this. He had an infectious enthusiasm for the city and its history, which he knew like the back of his hand. The tour begins at the front of the Santa Maria Novella Square and journeys on through the city, with a number of well-chosen stops and landmarks along the way. These tours run daily, with different times and commentary focuses to choose from. There is no tariff and guides work on a tips basis– it’s up to you what you pay depending on what you thought of the tour experience. Our tour took around two hours. I highly recommend doing this at the start of your visit. It is a way of seeing where things are, what landmarks you’d like to take a later tour of, and a great opportunity to ask a local firsthand about what there is to see and do in their city. Okay this was fantastic and one of the highlights of the whole trip! The day begins with pick up at around 10am. In what seems like no time at all, you’re viewing a patchwork of vineyards and hills as you head out of the city, and in just 20 minutes, arrive at the Chianti “Castello di Trebbio”. This is a stunning 12th-century castle which today produces wine and olive oil. The castle is located in the famous Chianti Rufina region, which is world-renowned for Ruffino wine. The views of the castle itself and the area that surrounds are stunning! Our morning included a tour through parts of the castle with details into the production of the area’s wine. Depending on what you’ve signed up for, the rest of the morning can include either a wine tasting or a Vespa tour along the winding roads of the Tuscan countryside. We chose the Vespa option and I strongly recommend doing this if you get the chance! This was a fantastic experience and was an unbelievable way of seeing the countryside. Now for those of you who are like me, and weren’t blessed with a large amount of coordination, fear not – you can ride on the back of the Vespa which, on the bright side, provided great opportunities for photos. The day also includes a traditional Tuscan lunch, topped off with some delicious wine. It was €125 each but it was absolutely worth it. Find out more about the tour here. Pasta, pizza, gelato, wine… and did I say pasta? Eateries and restaurants are in no short supply here and like all cities range from food stands, to quick stop eateries, to finer dining. Our favourite was a small but beautiful place known as the Salsamenteria de’ Ciompi. We stumbled upon this restaurant by chance during a walk, and were so glad that we did. We went here more than once during our stay in Florence, and loved the food each time. Located in Pietrapiana, this family run restaurant offers fantastic service and fantastic food. The pasta is handmade and the produce is local. What I loved most about this place is that you see the pasta being made. You can choose your style of pasta to go with your chosen dish, and the taste is just perfection. My favourite was a stewed style bolognese but there were great vegetarian options as well. In saying that, all of the food tried was outstanding and it’s hard to go wrong when choosing meals in this location. For those with a sweet tooth– I strongly recommend giving the cannoli a try, and the ferrero rocher flavour for your gelato! If you’re a fan of lattes, don’t make the same mistake I did and simply order a “latte”. You will want to order a café latte. If not, you will get warm milk and a confused look. Other than that, happy feasting! We stayed in the Residence La Repubblica. This place was great all round. It was about €90 per night and offered a spacious room with great facilities. It’s in walking distance to just about anywhere in the city. The icing on the cake was a step out from the room to overlook the historic Repubblica Square. There was live music in the square each evening, and the whole place was a hive of activity with the gorgeous carousal and nearby markets. The reception staff were very friendly and professional and super helpful in providing maps and tips on things to see and do during the stay. They do tell you this but it is worth highlighting that the reception for this hotel, including check in and key collection, is not the same location as where you’ll stay, so be sure to confirm this during your booking to save time and confusion. 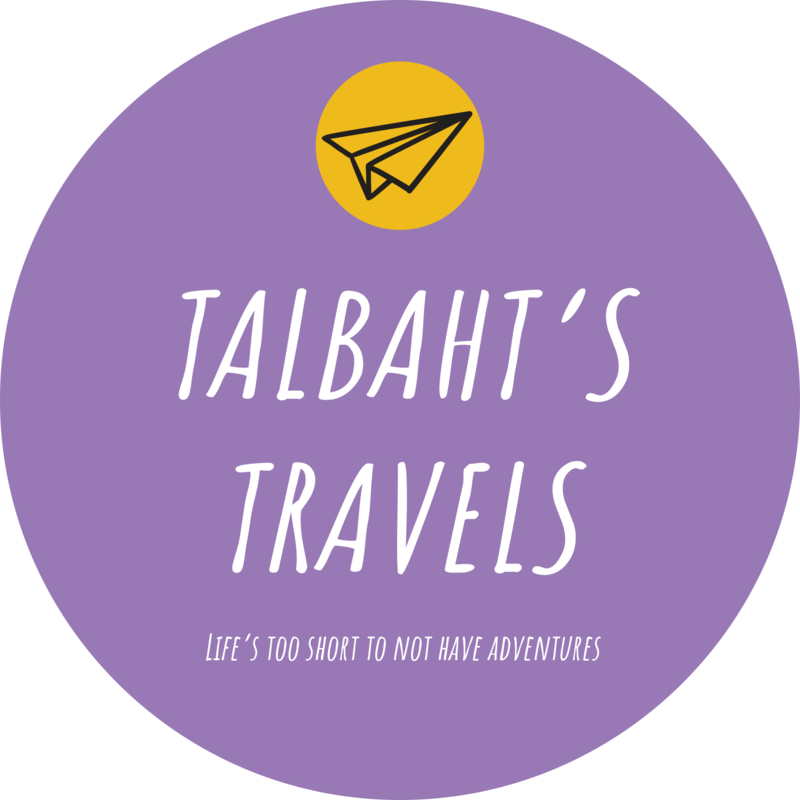 If you have any questions for Camille, want help planning your trip to Florence, or have a guest blog of your own to pitch please email contact@talbahtstravels.com. Took me back to when I went to Florence – great place. Nice photographs!